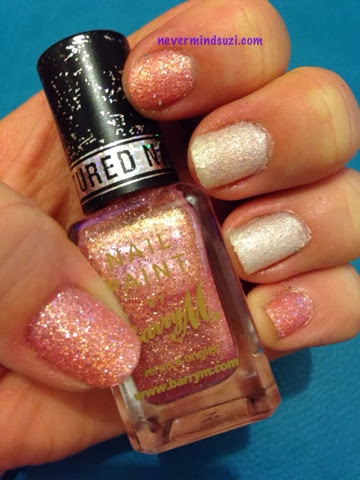 So Barry M finally made up (for what in my opinion) where a disappointing first batch of textured polishes. 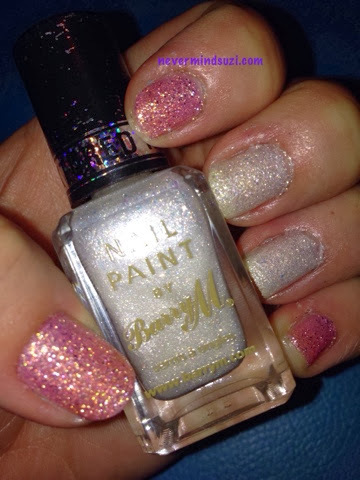 Princess is a soft baby pink full of gold shimmer and sparkle. 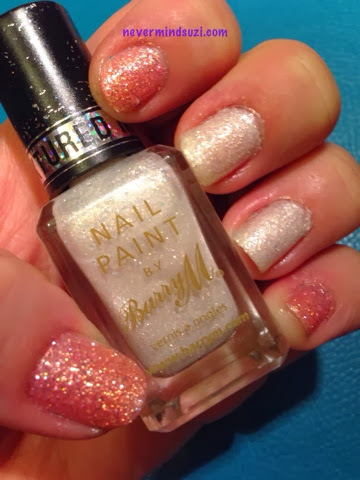 Lady is a pearly white with gold and silver glitter. Both have a sand like texture and are fairly dense. The polish builds up well so 2-3 coats without undies is perfect. Such pretty colours, though not sure if it's a bad nail day or of the shades didn't suit me?